Avander was born from Mira Strongtide and her late husband Polux Strongtide. He was born seemingly a normal child with no innate abilities, but years ago, directly prior to the defeat of the Man of the Shadows, he found he was naturally attuned to the Staff of Peliphene. 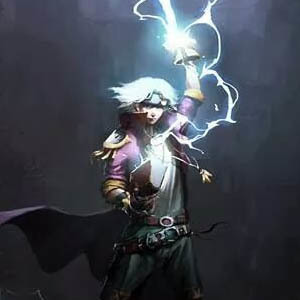 The powers of storms seemed to come to life within his veins and he embraced becoming a very powerful young sorcerer very quickly.